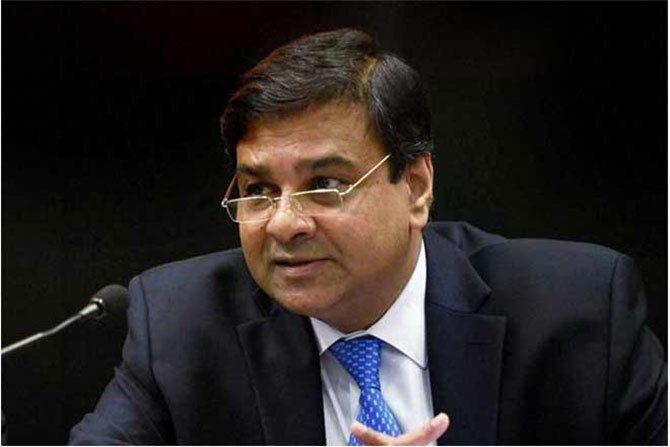 Ending months of speculation, Urjit Patel, a deputy governor at the Reserve Bank of India, was, on Saturday, named as the next chief of India's central bank to succeed outspoken Raghuram Rajan, whose tenure was marked by tough measures to control inflation and headline-making statements. 52-year-old Patel, who has been overseeing the monetary policy department at RBI under Rajan and has been known as his 'inflation-warrior', will have a three-year term, an official statement said in New Delhi. Having worked with the International Monetary Fund, Boston Consulting Group and Reliance Industries among other organisations, Patel will take over after Rajan completes his three-year term on September 4. He will be among the few with a corporate background to become RBI Governor, the top post at the Mint Street that has been previously held by mostly career bureaucrats or economists at academic institutions. While Rajan's exit has been seen in many quarters as driven by his often candid views against various policies of the government, Patel's appointment as the 24th RBI Governor may end up ensuring continuity of the monetary policy of the current Governor. Rajan, who went on to earn a reputation of being an outspoken critic on various economic and even non-economic issues, was under attack in recent months from some quarters including Bharatiya Janata Party MP Subramanian Swamy for what they termed as his priority on inflation control at the cost of growth. 53-year-old Rajan would end up among those with the shortest tenure as RBI Governor. Ironically, it was Patel who headed a committee on Monetary Policy Reforms that suggested a medium-term target on inflation and a glide-path to achieve the number. It was this report that led to the signing of an agreement on inflation targeting between the government and the central bank. Doctorate in Economics from Yale and M Phil from Oxford, Patel joined the RBI as Deputy Governor on January 11, 2013 and was given a second term in January this year. He has been the key architect of inflation target and rate-setting panel. A close lieutenant to Rajan, his appointment is widely seen as ensuring continuity in policy and reforms initiated since 2013. Patel's appointment comes at a time when inflation has breached the 6 per cent top range set by the government. He would also have to follow through on Rajan's efforts to clean-up non-performing assets at banks. He was with International Monetary Fund (IMF) between 1990 and 1995 and worked on the US, India, Bahamas and Myanmar desks. Rajan, who has been credited with helping navigate the Indian economy through tough times, had in June surprised economists when he said he would return to academia and not seek a second term. Banking sector reforms, halving inflation rate and getting government to target inflation at 4 per cent were other achievements of Rajan. The renowned economist had also won plaudits for helping arrest the rupee's decline against the dollar and promote price stability but his focus on arresting inflation by not cutting interest rates also led to bitter criticism from politicians particularly BJP MP Subramanian Swamy. Just as Patel's announcement was made, Swamy took potshots at Rajan for allegedly continuing to hold US Green Card. When one of his followers said Patel is a Kenyan national, Swamy tweeted: "He is not Kenyan citizen but was. R3 was born Indian and chose to continue his US Green Card even though in India from 2007." RBI had in June stated that Rajan is an Indian national and an Indian passport holder. When another follower said if Patel will be hawkish as Rajan, Swamy tweeted: "Don't be an idiot like the presstitutes." Patel is the eighth deputy governor in Reserve Bank's history to be made its Governor and the sixth with an experience at IMF. Incidentally, it was a Saturday when Rajan surprised everyone on June 18 about his decision against a second term, while the announcement for Patel's appointment also came on a Saturday. Rajan was also appointed for a period of three years, which has been the case for most Governors so far.